Prime Time Health wins 2011 Silver Telly! Penczner Media congratulates our production team of this year’s 2011 Silver Telly Award-Winning Health & Wellness DVD “9 Simple Steps to Prime-Time Health” based on the best-selling book by Dr. Bill Sears. 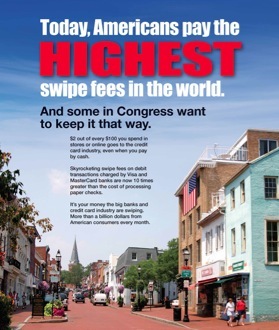 Leading the charge against unfair swipe fees, The National Retail Federation is utilizing the Jay Ragsdale designed “Main Street” print ad in its new 60 day advocacy campaign in DC beltway publications. 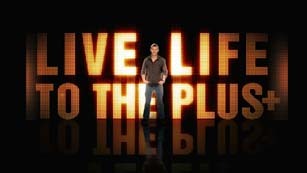 Bear Grylls says "Live Life to the Plus"
Adventurer Bear Grylls is again the centerpiece of a Penczner-directed 60 second promotional clip for Juice Plus+® entitled “Live Life to the Plus.” Green screen elements were shot at Adrenaline Films’ in Orlando Florida with Mike Murray serving as DP. 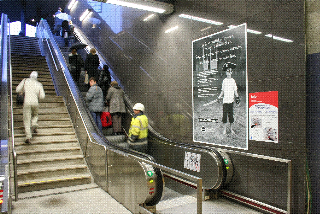 Visual effects were created by Ben Naff of In Visible Inc. with sound design handled by Nick Palladino of NPall Studios. 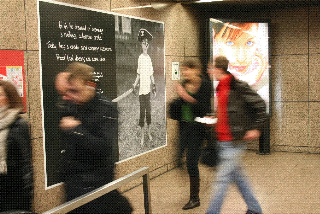 Penczner Media’s “Pirate” Swipe Fee campaign was released overseas featuring posters at subway stops around the European Retail Round Table gathering in London, part of an international effort to curb the rising cost of hidden credit card interchange fees. World famous British survivalist, Bear Grylls, speaks out in a series of new promotional videos for a nutritional product he’s taken since he was a teenager - Juice Plus+®. According to Bear, Juice Plus+® has been a constant companion throughout his career and a key part of his supplies on big climbs like Mt. Everest. To hear more from Bear, visit livelifetotheplus.com.